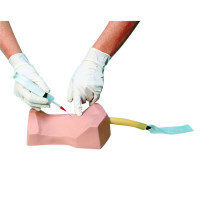 We offer the Life/form Arterial Puncture Arm at First Aid Store™ - features the realism of appearance and performance necessary to provide realistic practice for trainees. 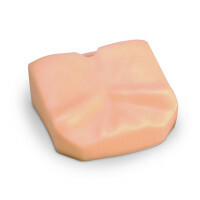 In the tradition of Life/form products, the Arterial Puncture Arm features the realism of appearance and performance necessary to provide realistic practice for trainees. Easy to set up and use, this valuable training aid is ideal for practice and demonstration in drawing arterial blood samples for monitoring blood gases. With this unique arm, students can actually identify puncture locations through palpation of the pulse at either the radial or brachial sites. Realistic arterial pressure produces a lifelike backflow of blood in the syringe, confirming proper needle location in the artery. MAINTENANCE: The Life/form Arterial Puncture Arm is easily maintained with replaceable skin and arteries. 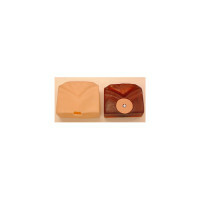 Complete Skin/Artery Kits are available and easy to use. 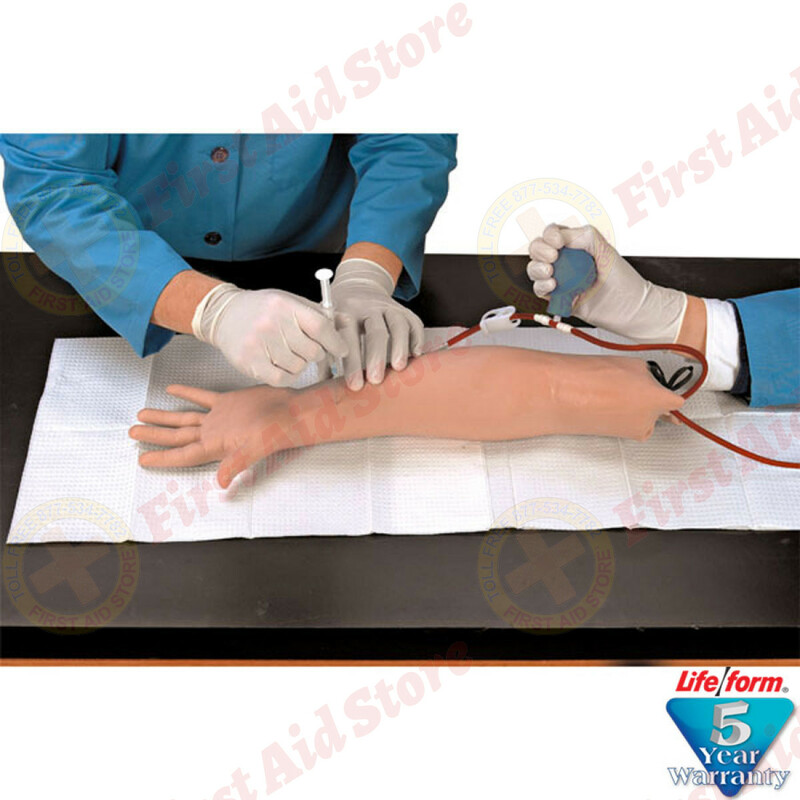 Periodic use of the tubing sealant provided will extend the life of each Skin/Artery Kit. 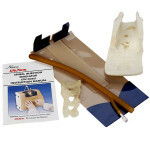 Two replaceable tubing sections are included with each Skin/Artery Kit (one section in the arm). The Life/form® Arterial Puncture Arm.